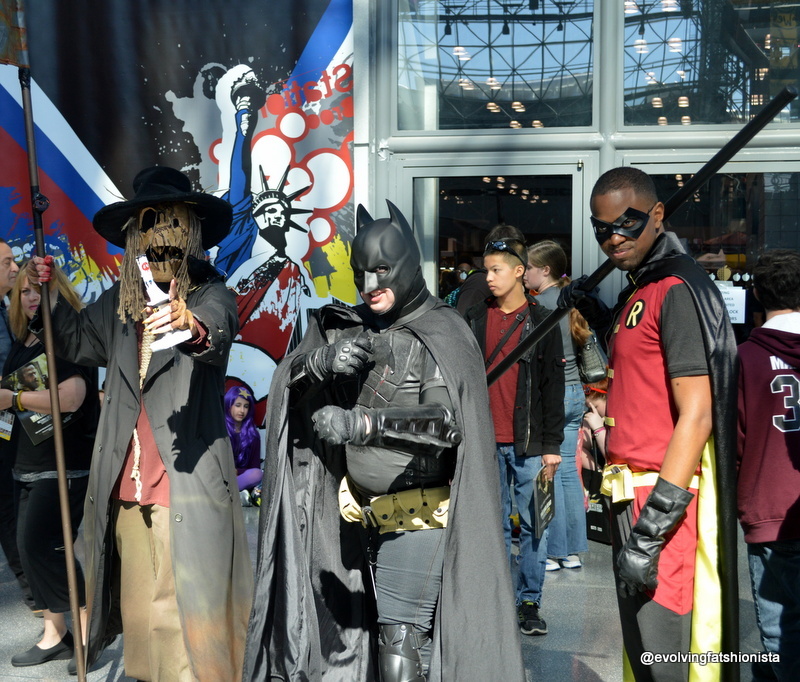 I took pictures of damn near any/everything that moved at NYCC (with permission, of course.) And let me tell you, it took everything in me to cut down the pics I put in this post because it was well over 150 photos. I’ll do my best to provide context and names of the characters listed. Ready? Let’s go! I love the vibe this whole group gave off. My favorite would be the side-burned Joker there. 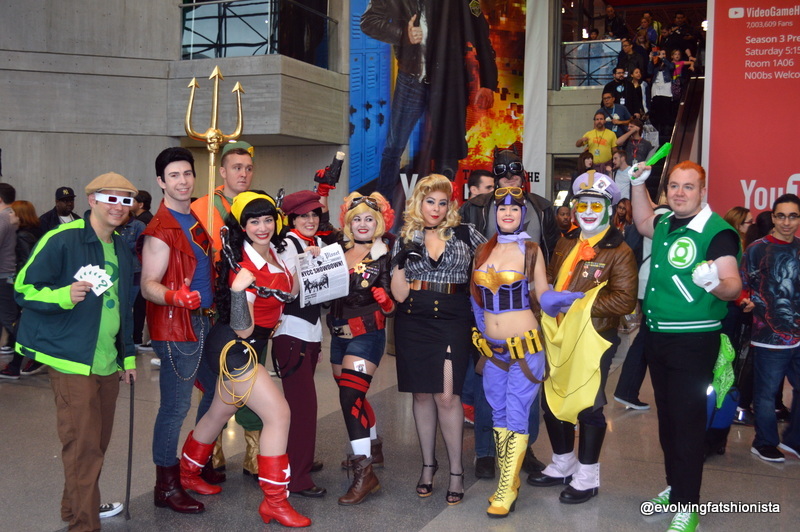 Other characters include Batgirl, Green Lantern, Wonder Woman, Harley Quinn, Riddler, and Aquaman. 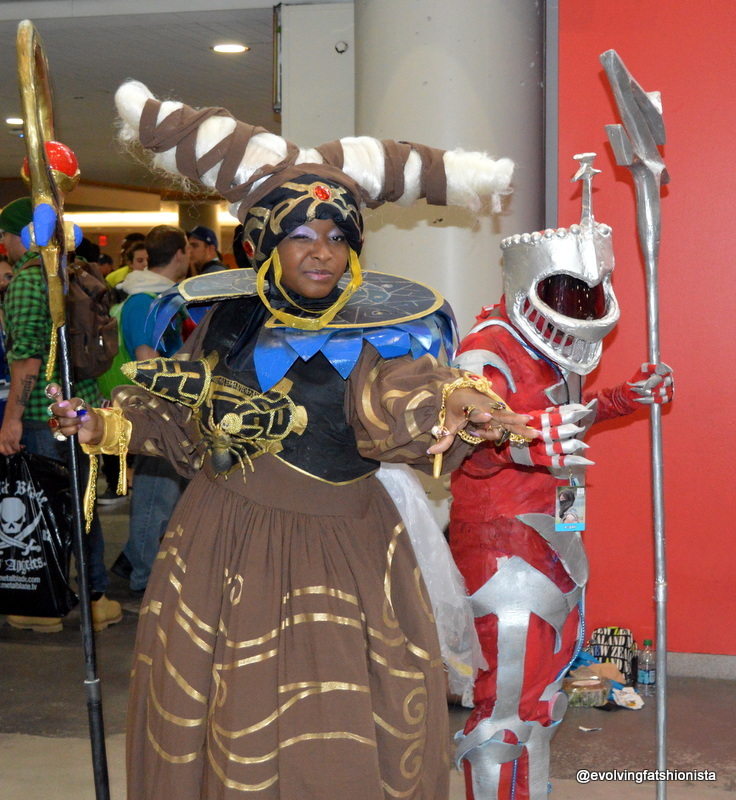 Rita Replulsa and Lord Zedd. Brought me right back to elementary school, coming home to watch Power Rangers! 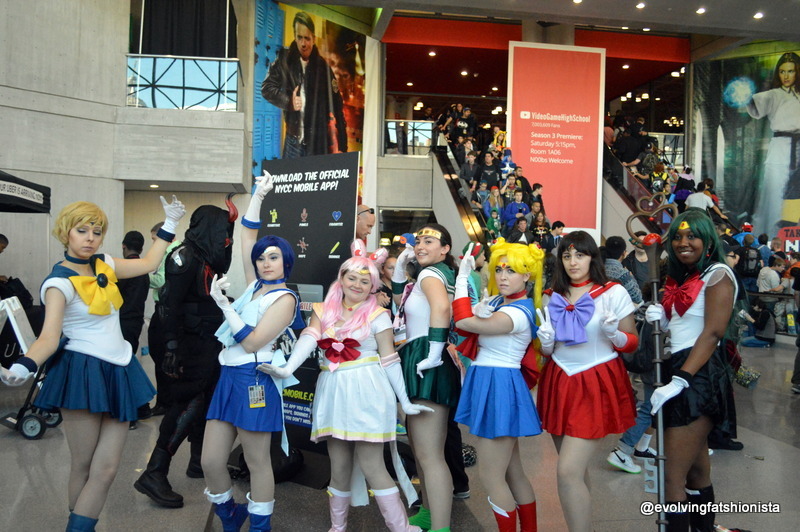 Sailor Moon and the Crew (totally NOT what they’re called, btw. 😀 ) There were quite a few Sailor themed cosplays, including a group of guys. The guys had a Tuxedo Mask included in their group (and yes, it was a woman.) So cute! Marvin the Martian brings you peace, man. 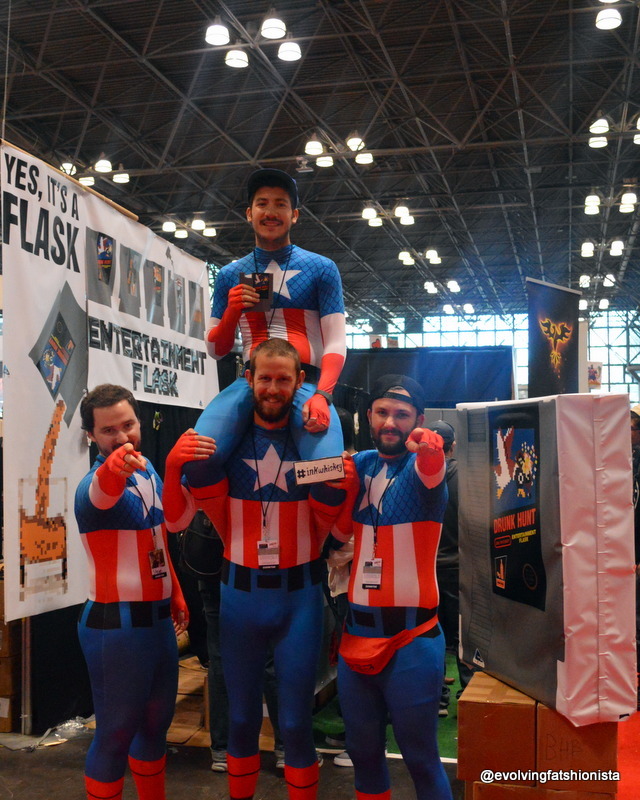 So, the Captain America at the top of the pyramid is holding what looks like a classic Super Nintendo game. In fact, it’s a flask. How fancy is that? I was on my way to pick up my things from coat check, and saw these two on the way there. 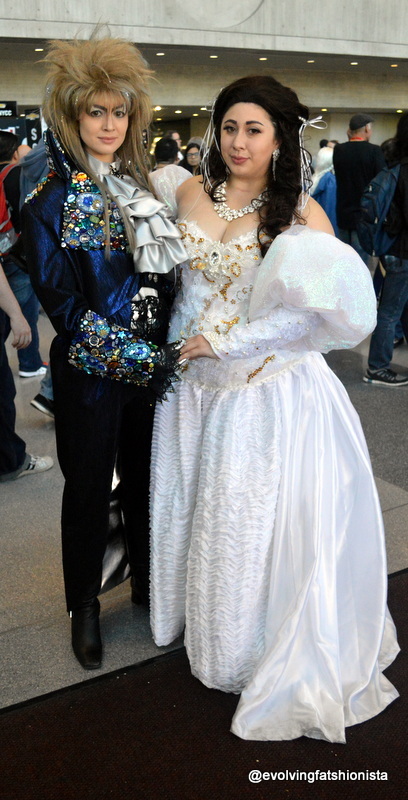 How spectacular is this Jareth and Sarah cosplay? I actually interrupted the conversation I was having when I saw this crew come in. 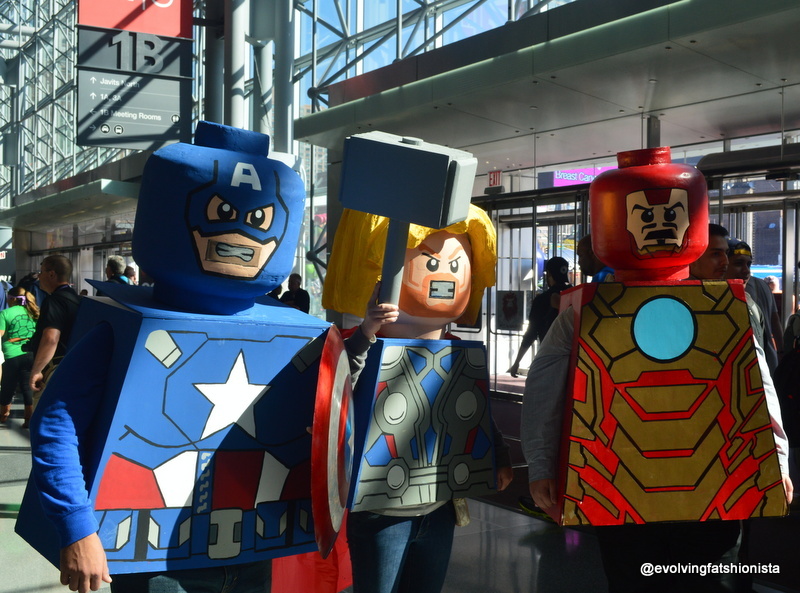 “OMG, is that Lego Iron Man?! I need a picture!” *zoom* Don’t worry, the person I was talking to was as excited as I was! 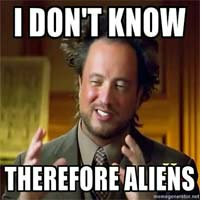 This is Phoenix Wright. He’s a lawyer whose fighting tactics include throwing paper work and gavels (seriously!) 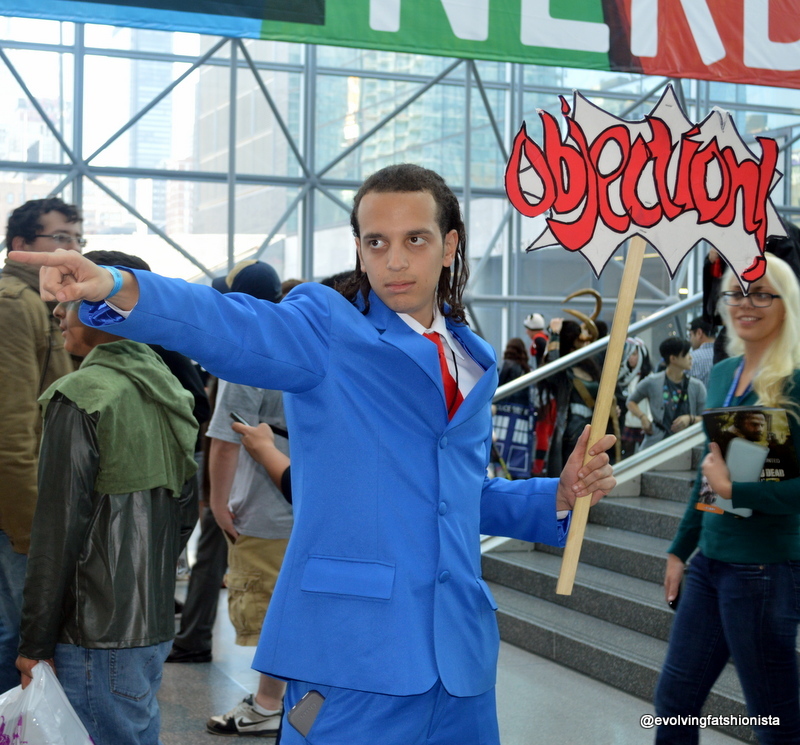 I should note the cosplayer shouted “Objection!” as he posed, which made C and I crack up. When I first took a pic of this guy, he ended up having to answer the phone in the middle of my shot. When he hung up his call, he graciously posed with the sign for me. I say he did a pretty good job! C and I saw this guy and immediately cracked up! 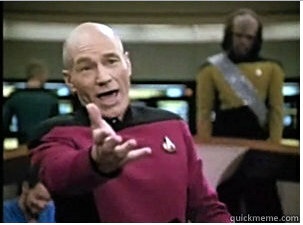 Annoyed Picard is one of my favorite memes. 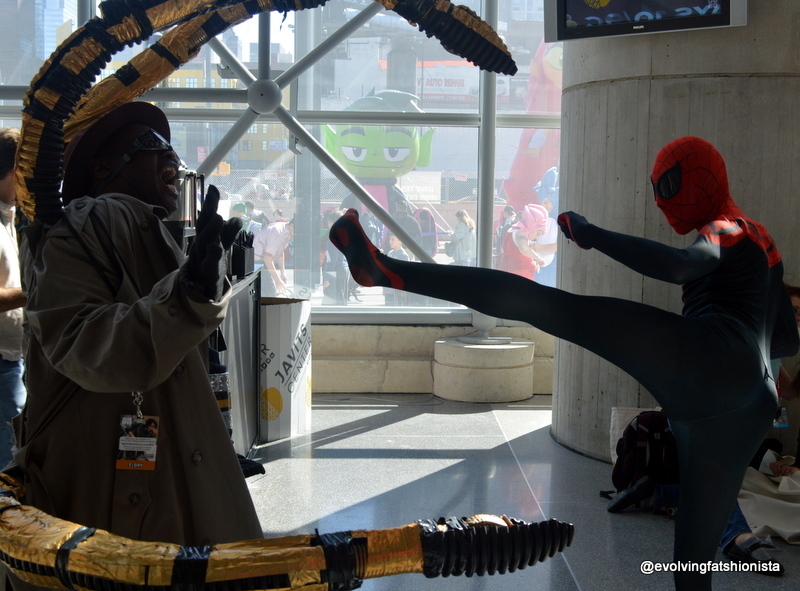 I actually got to NYCC earlier than C and my nephew on Sunday, so I decided to meet up with a friend of mine I hadn’t seen since college. 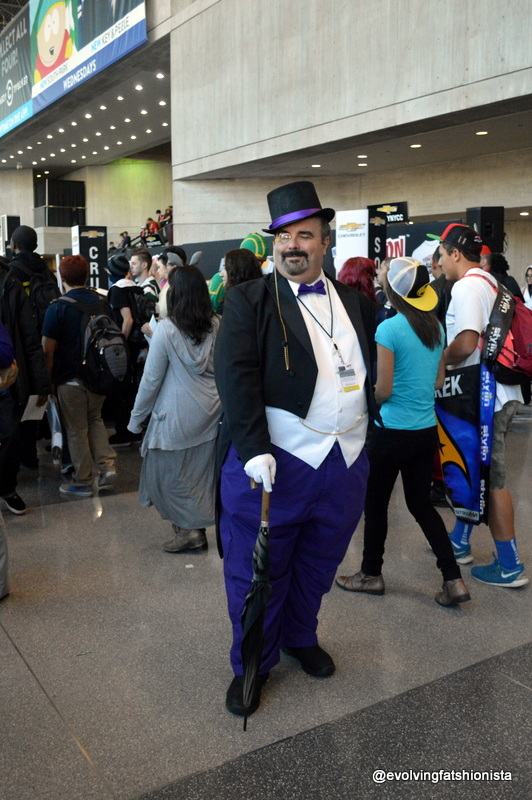 As he and I tried to figure out where the other was, Doc Oct there came walking past me. As I stopped him to snap a photo, I notice he’s looking behind me. Confused, I turn around. Who do I see? And they jumped into the pose you see here. And here it is. Two complete strangers hamming it up for people’s cameras and entertainment. They shook hands as they parted ways. 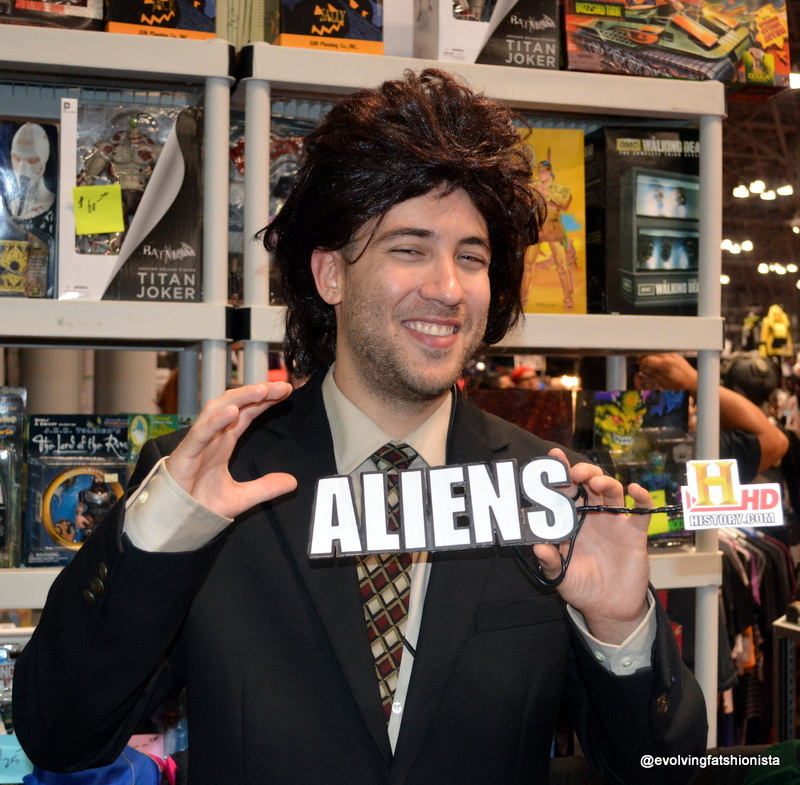 Man, NYCC is like nothing else. If you ever have a chance to come and experience it yourself, please do! You won’t regret it. 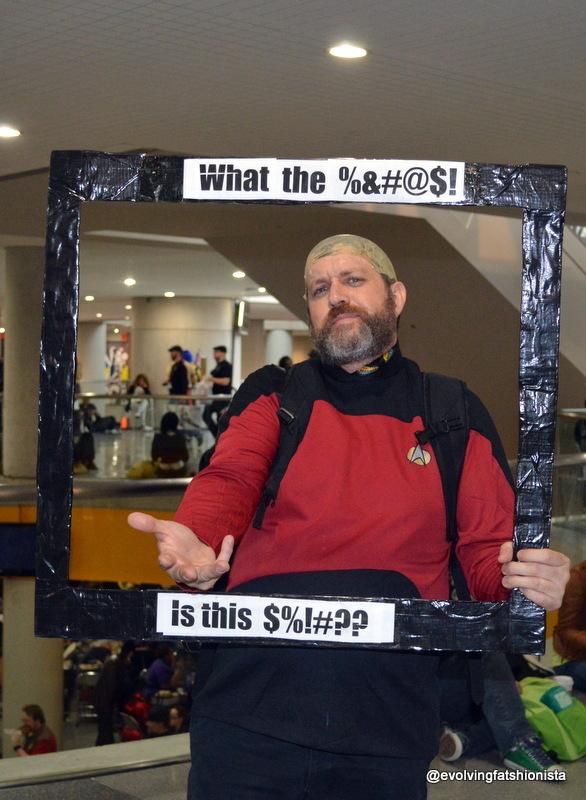 Tomorrow: the unveiling of my cosplay. See you then! It was quite an amazing outfit! This post is so dope! 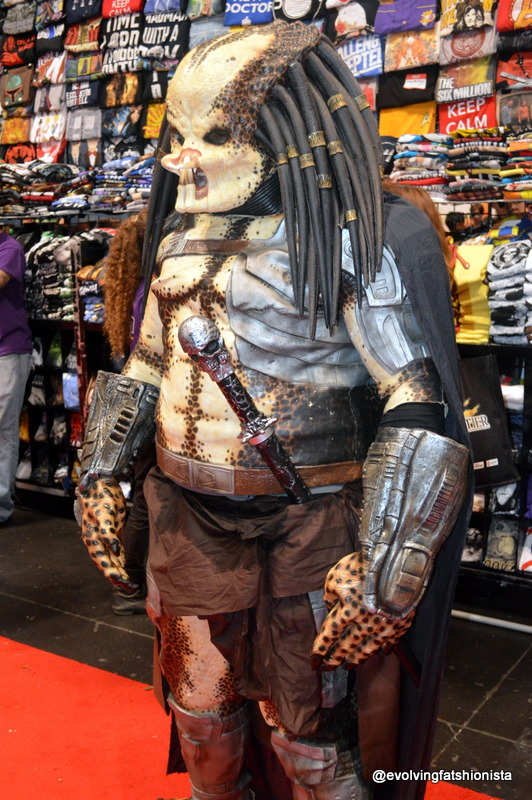 Very inventive costumes. It totally looked like tons of fun. So, so cool! What kind of camera do you use…these pics are excellent! I use a Nikon D3200 for my pictures and Picasa to do any editing. Thanks!